Welcome to kawit island beach resort of San Miguel Bay in Camarines Sur. Blessed with a long stretch of fine sand, natural resources and tranquil panoramic views. An ideal location to conduct various gathering with large number of participants such as company team building, wedding receptions debuts and more. They also accept overnight stay with it's various type of accommodation and suite that comes with fully air conditioned room. From Naga City, take a ride or drive to Brgy. Cagsao, Calabanga. Then register to Kawit Island Resort Reception located in Cagsao Elem. School. Night time 6:00pm and 6:00am. Pavilion hotel suite, Check In 2:00pm / Check Out 11:00am. 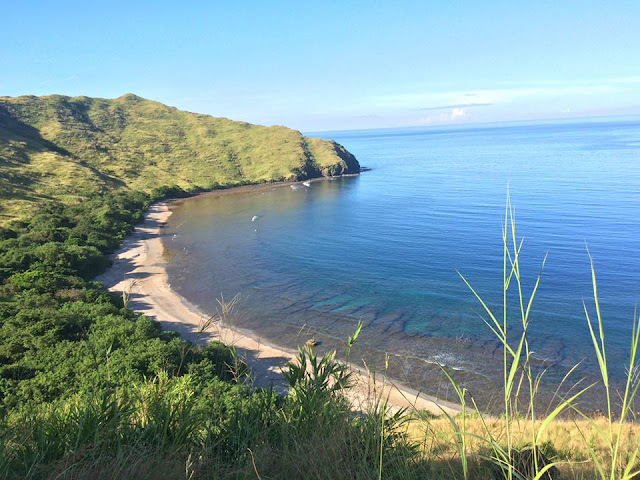 Free parking located on the “mainland” of Brgy. Cagsao. 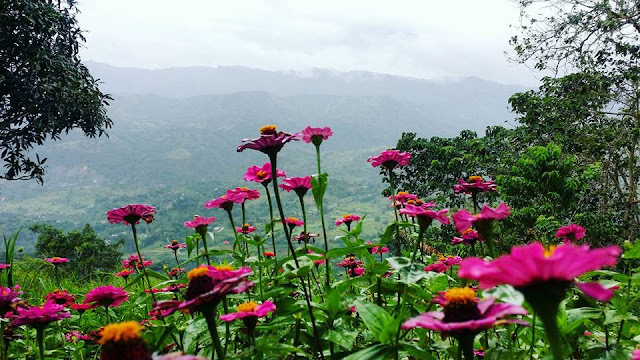 Sirao flower garden houses thousands of different instagramable tropical flower. Located in Brgy. Sirao, Cebu city. People have call it little Amsterdam of Cebu, which I think all wrong. Because according to wikipedia, Amsterdam is known for its artistic heritage, elaborate canal system and narrow houses with gabled facades, legacies of the city’s 17th-century Golden Age. It doesn't tell known for variety of tropical flower and celosia, a small genus of edible and ornamental plants in the amaranth family, which populated the whole Sirao Flower Garden. Expected Scenery on Sirao Flower Garden! Cosmos, pine tree and the wind mill overlooking the rolling hills of Brgy. Sirao in Cebu City. 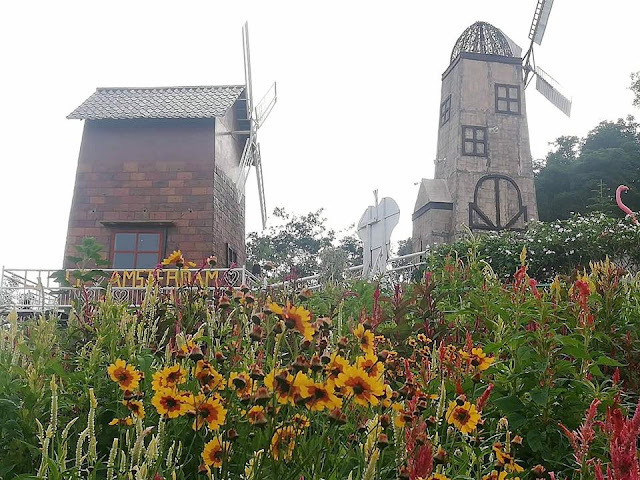 Blooming celosia flower, windmill and the heart shape selfie corner for lovers and couples. Wind mill, granary, blooming dahlia, celosia flower and some greens in the background. It's an eye refreshing and relaxing. Travel Destination and Place that actually you do not know exist in Tarlac! You're in Tarlac and looking for a place to pray, to reflect, to just hang out, to race around, to eat authentic Filipino dishes, to get rid of unhappy thoughts, anger, depression, exasperation and desperation, or to learn a slice of people power and world war II history. Then you're in the exact place for all of that. Below are travel destination and place that actually you do not know exist in Tarlac! 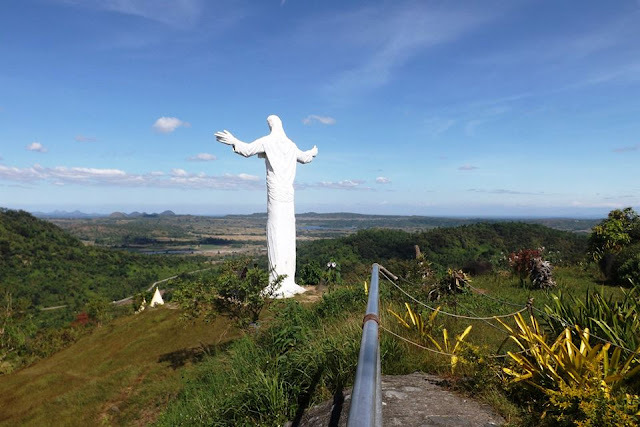 Monasterio de Tarlac is a home to Sacred Relic of The True Cross and a Statue of the Risen Christ. Located on top of San Jose mountain, 35 kilometers away from Tarlac City or an around 45 mins to 1 hour drive on a narrow paved road with some beautiful scenery and greens on the way. The drive going uphill is easy and full of expectations. However, there is one slope at the end which is really steep. How to become travel agent or start a travel agency with almost zero capital in the Philippines? Probably you have heard a friend or relative earning couple of thousand while they are traveling around the Philippines or working with there corporate job. They're able to profit 30K, 50K, or even 100K monthly being a tour guide or travel agent. Yes, they exist! And I know exactly who is this guy, you have heard about "Ai StarLegends Adventures Travel and Tours" on Facebook and seen-zone her post, I guess. She's not a scammer, I guarantee you she will do the job to book you for your International and Domestic flight. Yes, this guy become a travel agent and start her travel agency with almost zero capital. Simply she found clients who is willing to pay her service that much. 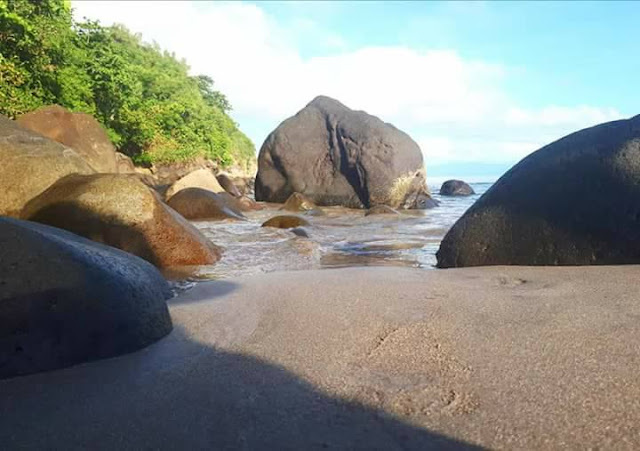 Now, if you want to earn extra five figure cash monthly, then educate yourself with the basics, standards, and need to know of getting your first highly profitable online travel and tour agency. 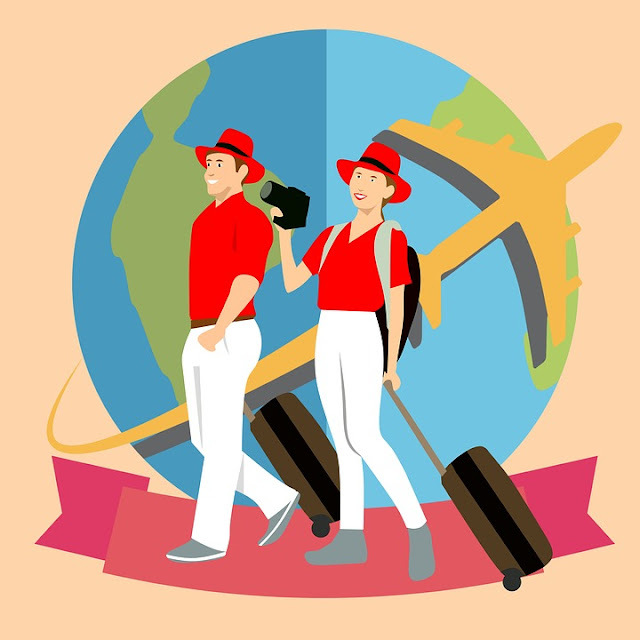 What are the basics requirements to start travel agency in the Philippines?